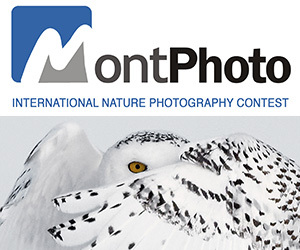 Review Santa Fe Photo Festival is the premier international juried portfolio review event. The festival features a number of ways to connect and engage through workshops, artist talks, and a special event honoring a photo luminary. Invited photographers receive nine formal portfolio reviews, receptions, access to artist talks and more. Read the 2017 Program Guide to learn more. This special festival in the foothills of the Sangre De Cristo mountains has been called one of the most effective professional development programs for photographers. The reviewers and the Review Santa Fe 100 Photographers travel from around the world to take part in this prestigious juried portfolio review and are carefully chosen with their ability to offer actual opportunities as well as feedback. Dozens of outcomes happen for photographers as a result. Applications are open now for the 2018 portfolio review event. PRIZE DETAILS: The Santa Fe Fellowship, formerly the Santa Fe Prize, honors and supports a gifted and committed mid-career photographer. It is annual, by invitation only, and includes an honorarium, travel, accommodations and presentation of one’s work at Review Santa Fe. Not eligible to enter? - Find contest where you are. COPYRIGHT: Photographer retains all rights the images. By completing the application, the photographer grants CENTER permission to reproduce works from their submitted materials in connection with the administration, judging and promotion of CENTER, the CENTER Awards, Grants and portfolio review events. Permissible uses of the images submitted shall include their reproduction, distribution and display in CENTER exhibitions, multimedia presentations, and printed materials related to promotion of CENTER and the CENTER Awards and events. CENTER shall have the right to grant permissions to the press and publicity agents in connection with the promotion of the CENTER Awards, exhibitions, and related events. All Grant recipients, including the Juror’s Choice as well as the winners of the CENTER’s Choice Awards are asked to donate a print to CENTER. Submission of an entry to these awards, grants or portfolio review, signifies acceptance of all conditions stated. USAGE RIGHTS: Photographer retains all rights the images. By completing the application, the photographer grants CENTER permission to reproduce works from their submitted materials in connection with the administration, judging and promotion of CENTER, the CENTER Awards, Grants and portfolio review events. Permissible uses of the images submitted shall include their reproduction, distribution and display in CENTER exhibitions, multimedia presentations, and printed materials related to promotion of CENTER and the CENTER Awards and events. CENTER shall have the right to grant permissions to the press and publicity agents in connection with the promotion of the CENTER Awards, exhibitions, and related events. All Grant recipients, including the Juror’s Choice as well as the winners of the CENTER’s Choice Awards are asked to donate a print to CENTER. Submission of an entry to these awards, grants or portfolio review, signifies acceptance of all conditions stated.